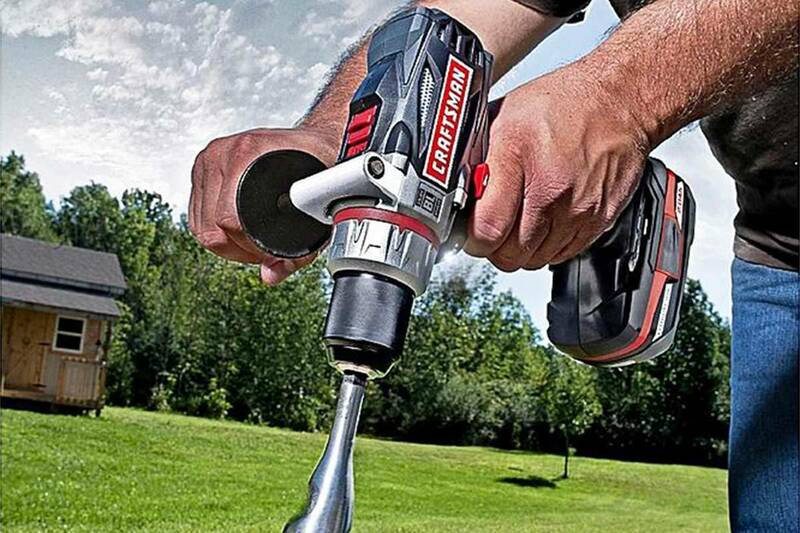 The first half-inch drill I ever bought was a monster—a gigantic, impossibly heavy all-metal beast that could drill through just about anything. It never wore out. In fact, I think I still have it somewhere, buried in the back of the old tools graveyard in my shop. 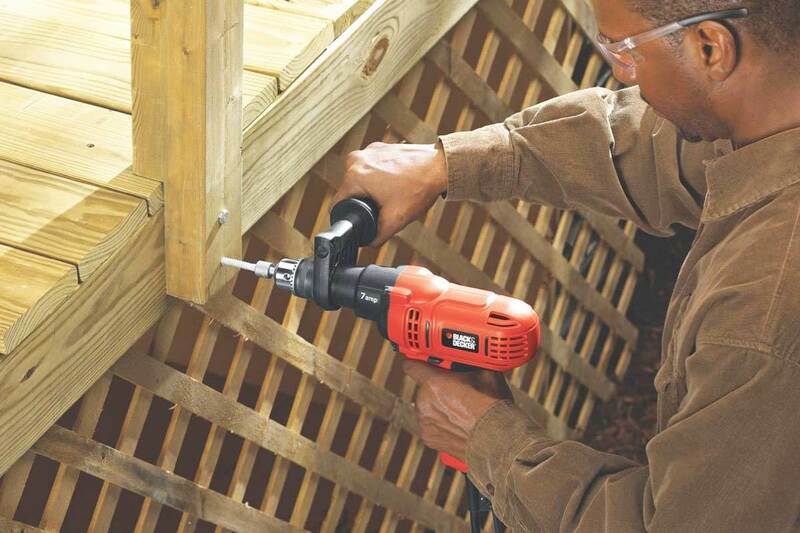 But the old beast—which my carpenter grandfather always called a “drill motor,” to distinguish it from a drill bit, I suppose—can’t hold a candle to the newer generation of high-torque, much lighter and just as powerful mid-size half-inch drills like this Black and Decker DR560. There’s nothing fancy about the first drill I bought. This B&D, on the other hand, has several nice touches that I’ve grown to appreciate. It has good heft and balance, probably because the designers mounted the handle of the drill halfway back from the chuck, rather than all the way back. 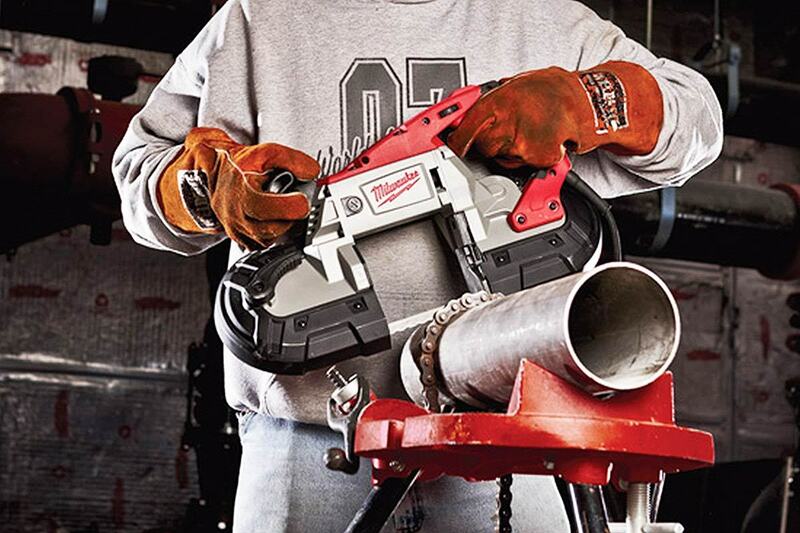 That means, while you’re drilling, you’re holding the main weight of the drill with your wrist in a balanced way. 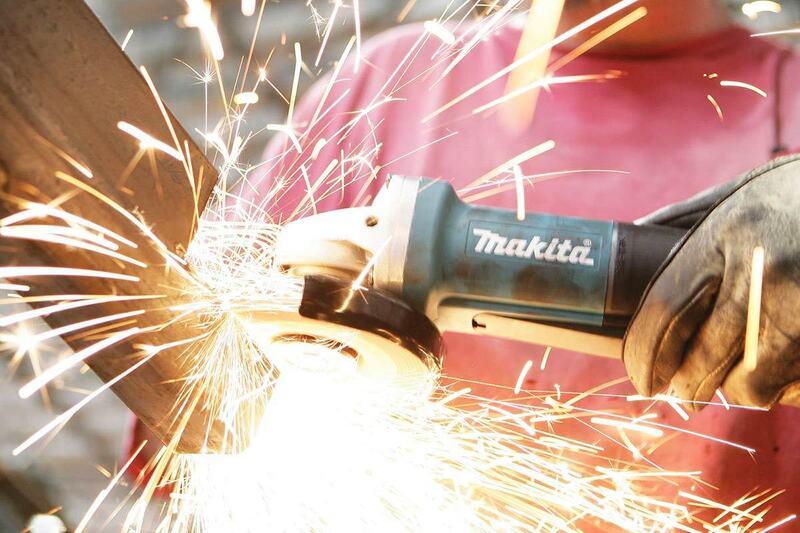 The center of gravity of the tool makes ergonomic sense, in other words. That old drill of mine would wear out my wrist fast, trying to hold up the entire weight of the thing with that rear-mounted handle—this one won’t do that. 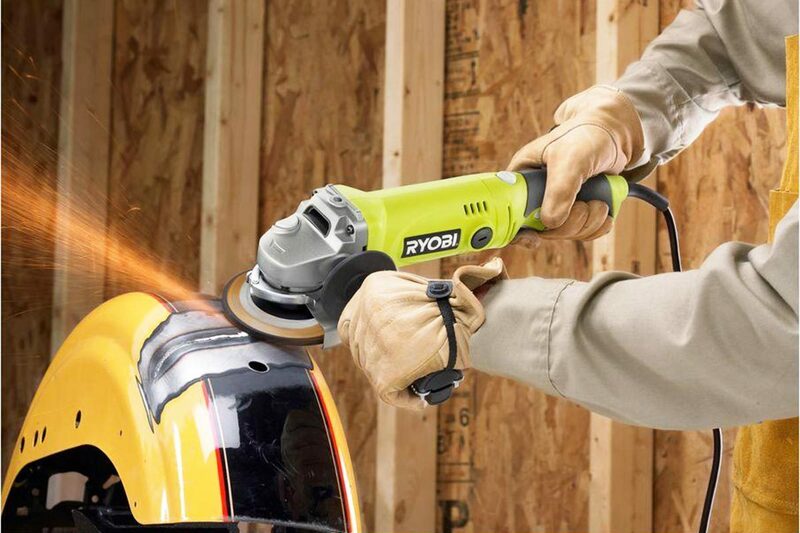 The balance of the tool also helps you drill straighter holes. This drill is the size I typically associate with a smaller-capacity 3/8” size, but it has the power and punch of a bigger half-inch. I like the trigger and the handle itself, too. It’s got what B&D calls a “comfort-grip handle,” with constant-on button on the left and the reverse button on both sides where it belongs. 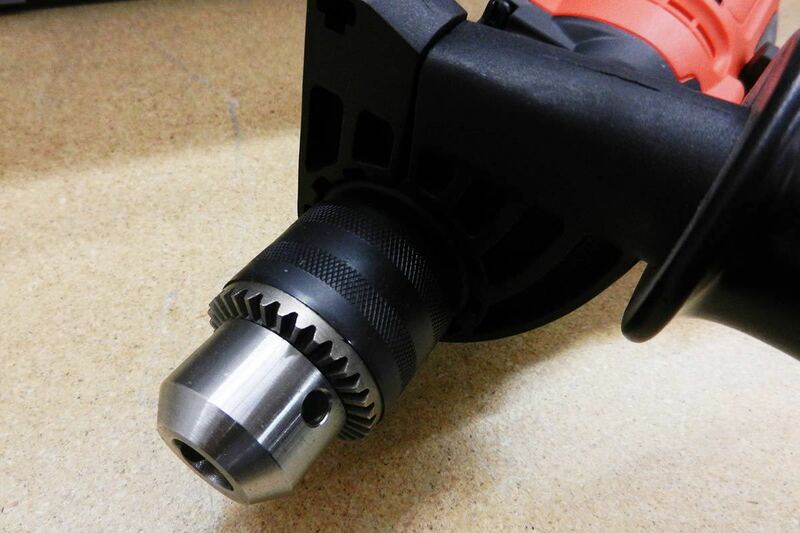 The back of the drill has a rounded shape, good for pushing with your palm when necessary. The auxiliary handle, also good for added control and force, is adjustable for 360 degrees around the business end of the drill. Every decent drill should have a metal chuck and a chuck key you can’t lose. In this case, we have a win in the first instance, and a loss in the next. All-metal chuck—check. No-lose chuck key—not so much. The chuck key is attached in one of those cheesy plastic cord-mounted holders, guaranteed to wear out quickly and leave you asking yourself in loud adult language “Where did that */#+~ chuck key go!” Take my advice when you unpack the drill from the box, and secure the chuck key to the cord with a sturdy piece of wire or string. That way it’ll always be within reach and you won’t lose it--like I did. The price? Mighty good, in my book—the DW160V sells for right around $45 amazon. 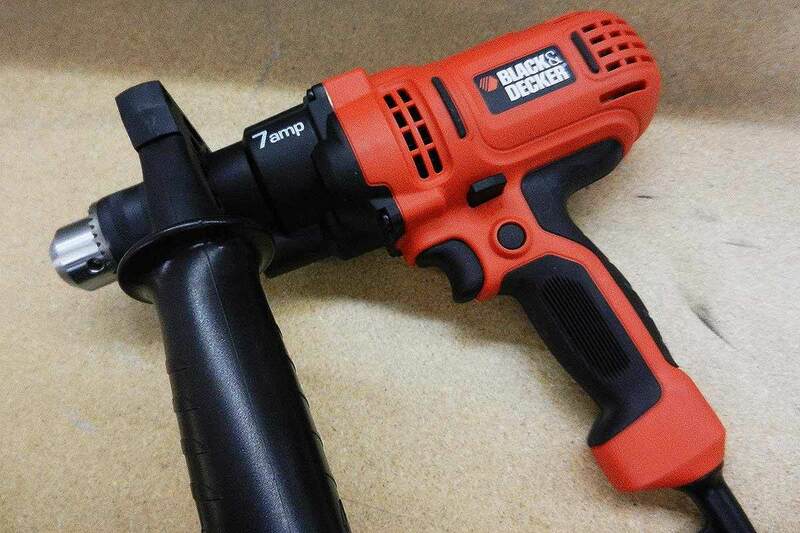 This Black and Decker ½” Drill has lots of power and durability at a very good price.